Child custody agreements are often the result of well thought out plans which are designed for the wellbeing of children. When the terms of such an agreement are ignored, it can be extremely frustrating for parents and caretakers. 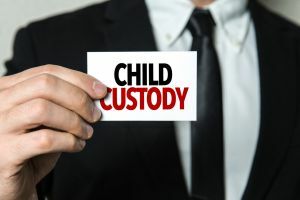 As with other agreements pertaining to divorce such as child support, alimony, and asset division, the terms of your child custody agreement are only as good as their ability to be enforced. For co-parents in New Jersey, there are many ways to enforce your agreement custody agreement. Before making any rash decisions, it may be a great idea to first contact a qualified and experienced divorce attorney to discuss your options. At The Bronzino Law Firm, we have successfully resolved child custody disputes for our Ocean County clients throughout local communities including Wall, Point Pleasant, Brick, Toms River, Jackson, Monmouth County, and across Eastern New Jersey. Our child custody enforcement attorney understands that for parents, nothing is more important than their children. We approach agreement resolution with a collaborative and amicable mindset, but will not hesitate to aggressively defend your legal rights as a parent. Call our office today for a free and confidential consultation regarding your questions and concerns regarding child custody or any other family law matter. Parental Alienation: even very young children are intelligent and highly sensitive to the behavior of their parents. Parental alienation is a form of emotional child abuse when a parent attempts to make a child feel ill will towards another co-parent or caretaker. Failure to Stick to the Schedule: If the kids should be dropped off at 1:00 on Sunday, they need to be dropped off at 1:00 on Sunday. While reasonable leeway is a given, adhering to the schedule of your agreement is a serious matter. Dangerous Parental Behavior: “dangerous” may seem like a strong term, but the courts view potentially harmful behavior such as smoking near children, parenting while intoxicated, doing drugs around children, using hateful language, and much more as grounds to modify a child custody agreement. What Can I Do if a Co-Parent is Ignoring our Ocean, NJ Child Custody Agreement? If all else fails, our Wall enforcement of child custody agreements attorney will help you file a motion for contempt. This involves filing a complaint in the New Jersey Family Courts system with proof that your co-parent has refused to adhere to a court order. The onus is on the parent filing the motion to provide evidence of this breach of contract. A successful motion for contempt may result in the offending co-parent being fined, arrested, and even spending time in county jail. It may also lead to a modification to your existing child custody agreement in light of these events. If at any point the actions of a co-parent or caregiver lead you to believe your child is in danger, call the police immediately. Just be aware that this option should be reserved for serious situations only, and not when your absent minded co-parent took the kids to get ice cream and lost track of the time. Child custody and parenting time enforcement attorney Peter J. Bronzino, Esq. has extensive experience helping parents enforce their existing agreements in local Ocean County and Monmouth County communities including Brick, Spring Lake, Sea Girt, Howell, Wall, Point Pleasant, Toms River and all of Northern New Jersey. Our firm is built on the foundation of strong attorney-client relationships which larger firms simply cannot match. Attorney Bronzino believes in keeping clients as informed and involved as possible throughout the legal process in order to offer personalized legal solutions. If you or a loved one has any questions or concerns about enforcing an existing child custody, child support, alimony, or other family law agreement, please contact us online or through our Brick, NJ office by calling (732) 812-3102 today for a free and confidential consultation.